How much do iPhones cost? Whether you’re an Apple loyalist, or just someone who enjoys the functionality and design of Apple devices, iPhones are still one of the most popular smartphones on the market. With Apple releasing new models every year, it can be hard to keep track of which version of the iPhone is the latest, and really, if the latest iPhone is actually the right device for you. Compared to other smartphones on the market, iPhones are generally known for their higher prices. While Apple has brought out more affordable options in the past, they can still be pricey for those who are on a tight budget, especially if you’re looking to buy a phone outright. Which iPhones are currently available? The latest offerings from Apple are the iPhone Xs, iPhone Xs Max, and iPhone XR. Building on the success of the 2017 release of the iPhone X, the 2018 XS and its larger counterpart, the XS Max, both offer the latest and greatest of smartphone tech that Apple has up its sleeve. 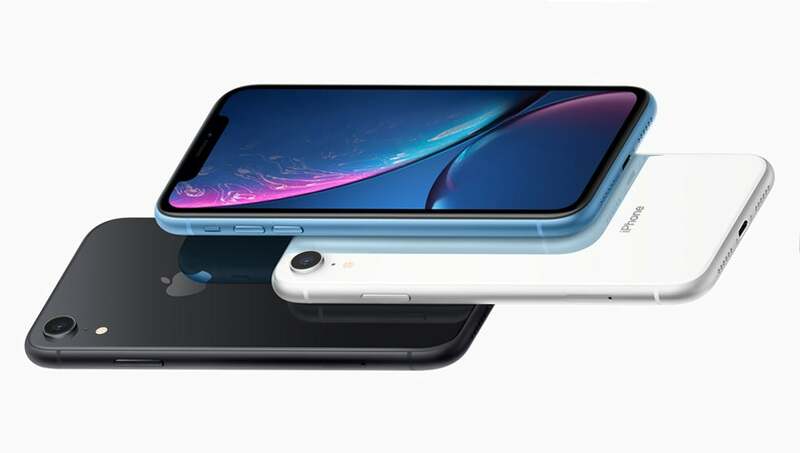 While the XR offers some great features for a lesser price, you won’t quite get the top-of-the-range tech that the XS and XS Max feature. Some of the older models, like the iPhone 8/8 Plus, iPhone X, and iPhone 7/7 Plus, are still available from several providers. If you want a new phone, but aren’t dedicated to the newest devices, you can get these older phones reasonably cheaper. However, you might find that the storage capacity and colour options are limited, as these phones start disappearing from shelves. 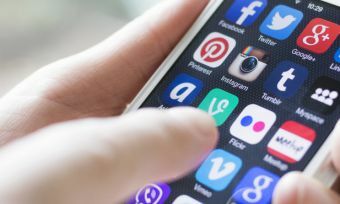 While the big telcos don’t currently offer the option to buy an iPhone outright, it’s worth looking at the current price of buying an iPhone upfront to help you determine the best value for your money, which depends on what you need from a phone plan. Because the iPhone X has been officially discontinued and removed from the Apple website, it might be hard to find stocks of these in stores: however, if you do, you’ll find prices around the $1,500 mark. How can I get my hands on an iPhone? There are several ways you can get your hands on the range of iPhones. While Telstra, Vodafone and Optus are the only telcos providing direct access to Apple products on a range of plans, the other option is to buy your phone outright from a retailer (such as the Apple Store) and then find a SIM-only plan that works for you. This gives you more options than sticking to the big three telcos; however, the upfront cost of an iPhone could be too expensive for most. The benefit of going with Telstra, Vodafone or Optus lies in the convenience of paying for the phone in smaller increments with a plan as part of a contract. Telstra vs Optus Vs Vodafone: What is the difference? All three of the big telcos offer iPhones in conjunction with plans. Both Telstra and Optus offer buy and lease plans, with the difference being that on a lease plan, you give the phone back at the end of the contract. Lease plans also give you the option of upgrading your phone for a one-off fee before the contract expires. While Telstra and Optus have similar options for both buying and leasing (with the option to upgrade your phone), Vodafone runs things a bit differently. Vodafone’s options are much more customisable, with the idea that you select your phone (the model, colour and storage capacity), then select the length of your phone repayment period (12, 24 or 36 months). This will then calculate how much the phone repayments are each month. Once you have an idea of how much your device will cost, you then select the plan that you want, and add the plan cost on top of your phone payment, to give you the total you’ll be paying each month. The repayment price for Telstra and Optus is dependent on which plan you choose, with higher-level plans including cheaper (or $0) phone repayments. Telstra has a wide range of iPhones available, including the XR, Xs and Xs Max, plus some of the older models. You can expect to pay about $10 less if you choose to lease the phone instead of buying it, but leasing is only available with certain phones. If you were after a 64GB iPhone XS on a ‘Buy Plan’, the cheapest plan is a total of $114 per month — that’s $59 for the S plan (which includes 3GB of monthly data), and $55 for the handset repayment over 24 months. While the data inclusion might seem light-on, this plan does include free access to the Telstra Air WiFi network, with more than 1 million hotspots Australia-wide. If you want a bit more data, the M, L and XL plans go up to 10GB, 30GB and 60GB of included data, with discounts and bonus data available on these plans from time-to-time. If you want to go all-in with the latest iPhone plus unlimited data, you can hop on the Ultimate Unlimited plan at $199 on either a Lease or Buy plan. This is the crème de la crèm of Telstra plans, with $0 to pay on the handset, unlimited data (at the best speeds available), unlimited national calls and texts, unlimited talk and text overseas (to all countries), plus 10GB of international roaming data and unlimited roaming talk and text. One other sweetener that Telstra offers across all plans is data-free streaming of Apple Music, and data-free sports streaming of the AFL, AFLW, NRL, Netball and A-League. If you’re a big footy fan, then a Telstra deal might be right for you. If you’re after the latest iPhones from Vodafone, you’ll find the newest devices, such as the Xs Max, plus a few older iPhones. Vodafone’s handset plans allow you to select your device, decide your repayment period, and then add on the plan you want, with plan costs starting at $35 and going up to $80 per month. If you’re willing to sign on for 36 months, your handset repayment will be cheaper each month than on the 24 or 12-month plans, but overall you’ll pay the same total no matter which repayment period you opt for. If you’re after a 64GB iPhone XS, your cheapest option is on the 36-month phone repayment period, at $45.25 per month for the phone; combined with the $35 Red Plan, you’ll be paying $80.25 per month in total. But you don’t get too many extras included on this plan, and it features a base of only 2GB data (although you can sometimes pick up bonus gigabytes on this plan). If you were to hop on a 24-month repayment period, you’ll be up for $67.60 per month in phone repayments and, with the $35 Red Plan, it would bring your monthly total to $102.50. A good option at a more mid-level price would be to go for one of the Red Plus Plans. This means that once you get through your data allowance for the month, you can continue using your data without additional fees, but at a capped speed. You can get the $50 Red Plus Plan with 50GB of data – combined with a phone repayment of $45, you’ll be up for $95 each month. If you want more data, the $80 Red Plus Plan has a generous 80GB of Max Speed data. Combining this plan with a 36-month phone repayment, you’ll pay $125 per month. If you were to choose this plan on a 24-month repayment, you would be paying a fair bit more at $147.50 per month. Much like with Telstra, Optus lets you pick your phone plan either as a Lease a Phone plan or Buy a Phone plan. Once you’ve selected the device, colour and storage capacity, you have a range of plans to choose from. These plans start at $45 with 4GB of data, and go up to $125 with 200GB of data over a 24 month contract. As with Telstra, the phone repayments are cheaper when you go up to the more expensive plans. You also get the full range of latest iPhones, such as the Xs Max, plus some older models are still available. If you were to get a 64GB iPhone XS, in conjunction with the $45 plan with 4GB of data, your handset repayment would be $47, bringing it up to $92 per month. If you wanted a bit more data, you could go up to the $65 plan with 20GB of data: your phone repayment would be $37, which would bring your monthly total to $102. It’s also worth noting that Optus does have some entertainment extras to sweeten the deal. You can get data-free streaming on a range of entertainment extras,, including: Optus Sport (which includes the English Premier League), National Geographic, music streaming (Spotify, Google Play and iHeartRADIO), plus Mobile TV streaming (including Netflix, Stand and ABC iView). The Mobile TV streaming is usually an additional $5, but some Optus plans do include this for $0 when buying online. You’ll really need to weigh up what you can afford, especially whether you can afford to buy a new iPhone outright, to help you determine your best option. All three big telcos have pros and cons, so you need to take into consideration things like entertainment extras and data allowance. While Vodafone’s phone repayments over 24 months are more expensive than the other two, you can get it slightly cheaper when you pick a 36-month repayment term. Vodafone’s Plus Plans also offer good value with data allowance, as you pay $50 for 50GB of data with Vodafone. In comparison, you’ll pay $85 with Optus to get 50GB of data and $99 with Telstra to get 30GB of data (with 20GB of bonus data added on this plan from time to time). Telstra and Optus do offer cheaper phone repayments and enticing entertainment extras. Both provide data-free streaming for a range of sports and music services, so which telco you go with could be determined by which sports you watch, or which music streaming service you use. Optus arguably nudges Telstra out a bit with the Mobile TV streaming, but Telstra’s Wi-Fi hotspots could be more useful to some phone users. If you were to buy a 64GB iPhone XS outright, at $1,629, that would work out to be about $67.90 per month over 24 months. There are a range of prepaid and postpaid SIM-only phone plans that can offer decent data inclusions for under $50, so you could end up paying less than $100 per month over two years. While many can’t afford to buy a new iPhone outright, if you can, you might be able to snag yourself a bargain when pairing with a cheap phone plan.